Medal card : Cpl. - 25th London Regt. Medal roll : 25th London R., Cpl., Attached to 13th Rifle Brigade 1(a) France 17.4.17 to 18.10.17. Died 25.11.18. Died of pneumonia following wounds (gas) 25 November 1918. Age 26. Bertie was the son of Henry & Lizzie PITT. Bertie is recored as an Office Clerk in the 1911 census. Son of Mrs. L. Pitt, of 70, New Rd., Wandsworth, South Lambeth, London. Born at Southgate, London. Remembered with honour Lambeth Cemetery. Grave Ref. Screen Wall. H.3. 998. There are 217 Commonwealth burials of the 1914-1918 war. 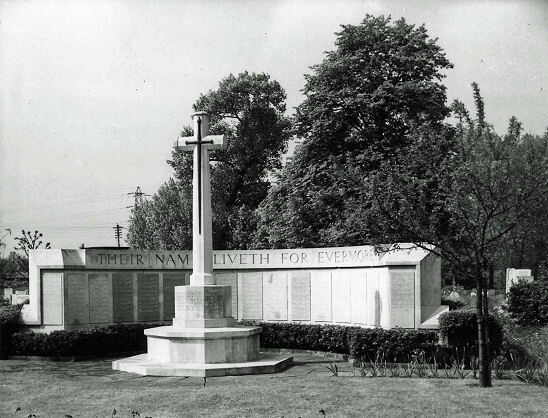 The cemetery is in Blackshaw Road , Tooting. There is a War Plot in the south-west corner and here will be found the Screen Wall Memorial naming those whose graves are not marked by headstones. Grave Ref. Screen Wall. H.3. 998.